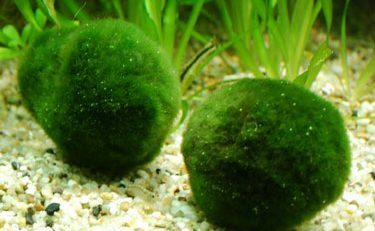 Marimo Moss Balls, also known as Rising Japanese Moss Balls, can make quirky additions to your aquarium or mini terrarium, and since their velvety green texture provide a lush hiding spot for fish and shrimp, they will be teaming with life in no time at all. This peculiar looking water plant originated in Lake Akan in Japan and is referred to as “moss,” but it’s technically algae, and the fact that its spherical shape isn’t rooted only adds to its mystery. 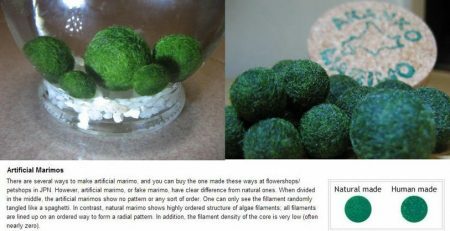 Marimo moss balls are simple to care for, so if you’re not a green thumb, Marimo moss might be the right plant for you. Marimos can reach a maximum size of 12 to 30 centimeters in diameter and grow an average of 5 millimeters per year. While CO2 is not essential to their growth, it can facilitate the process. Once you have the fundamental needs in place for your Marimos—12 hours of natural or artificial light (indirect), a water temperature between 54˚ and 95˚ Fahrenheit, and a pH of 6-8—you can add nutrients to the water as well as CO2 to speed up the growth process. 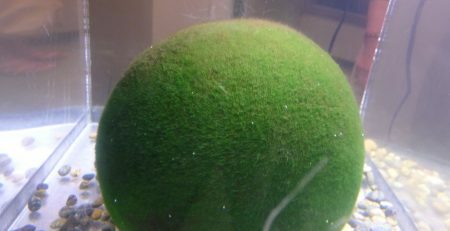 Marimo moss ball care with the aid of CO2 can be accomplished in a budget friendly way. Natural CO2 levels in outside air are in the range of 300-400 parts per million, but you can increase the level up to five times that amount. 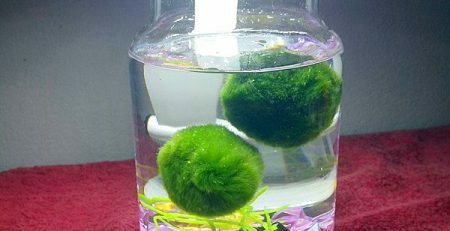 Basically, once you introduce CO2 into your Marimo moss ball plant environment, your Marimo moss balls will absorb the colorless, odorless gas along with sunlight and will begin to perform photosynthesis. 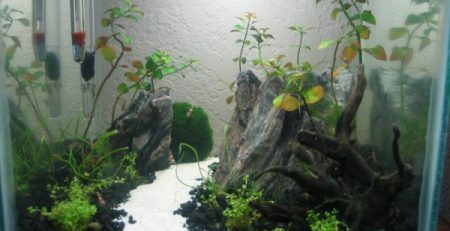 CO2 plant boosters can slowly release liquid carbon into your aquarium without disrupting your water’s pH level. Or, you can create a DIY CO2 system by setting up bottles and airline tubing with valves and a sealant then add yeast (1/2 teaspoon) and sugar (2 cups sugar). If you have fish, be cautious of depleting them of oxygen. 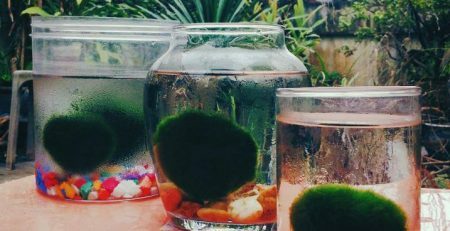 To ensure that your Marimo moss balls stay healthy and to prevent them from floating upward, give them a gentle squeeze once a month and remove stagnant water in a separate container. Also, be sure to change the water every two to four weeks. These water plants naturally reproduce through subdivision. When you notice a lump growing on the surface of the sphere, you’re seeing it’s cloning process in action. Or, you can manually split the spheres up, form them into ball shapes and encourage more reproduction. 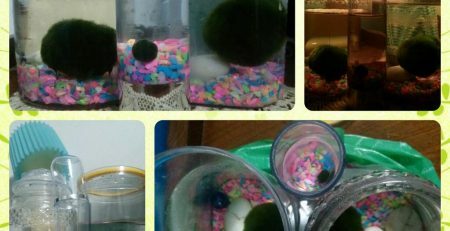 When you have several, you can get creative and fashion them into shapes or even animals—a dog or cat made of algae might be the most behaved pet you’ll ever own! 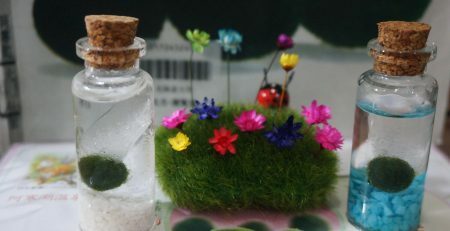 While it’s trendy in Japan to have Marimo balls as “pets,” natural occurring ones are considered a national treasure, and because numbers of Marimo moss balls have dwindled due to pollution and climate change, law protects them. 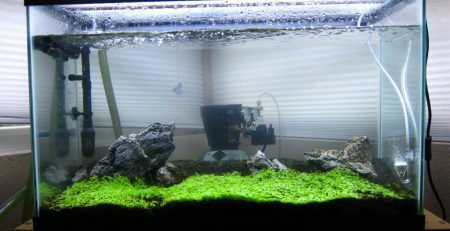 Fortunately, artificial versions of the algae are readily available, but the manmade versions differ internally. 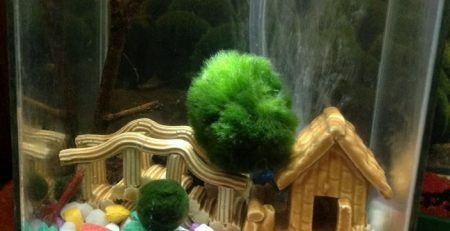 By splitting a manmade Marimo ball, you’ll see that there is no pattern created by algae filaments, but in natural made Marimo moss balls, there is a distinct and unique algae filament pattern.